Ranger Partners : Aerospace experts in mergers and acquisitions, turnarounds, management consulting, strategy, marketing, BPI, and capital raising. We are highly-skilled industry experienced managers specializing in mergers and acquisitions, turnarounds, interim management, strategy development and execution, financial planning, business/operations improvement, organizational development, and capital raising. We serve principally the world-wide aerospace, aviation, airline, MRO and airfield services industries, their supply chains and other highly engineered product industries. We also partner effectively with Private Equity and Venture Capital investors to pursue acquisitions, roll-ups and turnarounds. 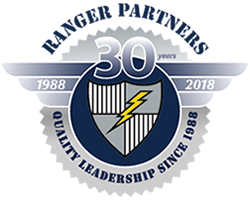 Ranger Partners, LLC is a business advisory, merger & acquisition integration, organizational development, deal making, and value enhancement company. Our company has extensive experience and a proven track record in aerospace, airline, MRO, airfield services, parts distribution, FBOs, rotorcraft, and aerospace specialty manufacturing. Dramatically turning companies around or simply reorganizing successfully to achieve superior business performance is something our partners have actually done. We understand how disciplines such as finance, marketing, IT, organizational development and operations fit together, so we can achieve optimal efficiency and superior results. Our expertise stems from our personal leadership experiences and aerospace industry knowledge. We bring the benefit of in-depth executive skills, knowledge and valuable industry contacts. Our leadership team provides creative, insightful, and cost effective solutions at a time of unprecedented change in worldwide aviation, airlines, and aerospace.